DIY Packing Boxes are perfectly suited to pack, protect and ship goods in the post. They are delivered flat and fold up into a rigid one piece mircro-flute corrugated white gloss laminated box. The box is strong and will protect your goods. 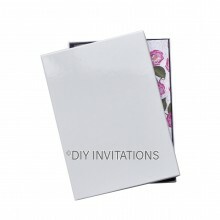 They are perfect for keeping your gift packaging needs safe and secure in the post.